THE CHAIRPERSON of the Blue Reform, Sampo Terho, has proposed that schools adopt maximum quotas for immigrant and foreign language-speaking pupils in order to promote integration and prevent social exclusion. 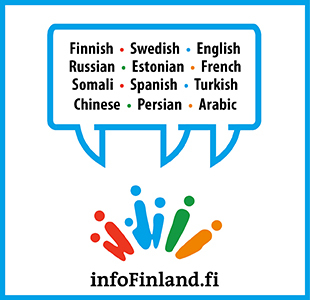 “The adoption of maximum quotas would encourage children of foreign backgrounds to learn the Finnish language and integrate into the Finnish society,” he wrote in his blog on Monday. The quotas, he added, would also be beneficial to other pupils and staff members. Terho argued that children of immigrant backgrounds can best integrate into the society when they are introduced into a Finnish learning environment as early as possible, to learn not only the language but also about the rules and culture of Finland. “Learning Finnish and planting roots in the society is faster when you can form groups of friends with Finnish-speaking children in the classroom,” he said. He estimated that the integration process is more complicated if the share of pupils of immigrant backgrounds is over 50 per cent in a particular class, as it will reduce exposure to Finnish language and culture. “The risk of alienation and social exclusion becomes high if immigrant children spend time in groups of their own. Immigrant children already account for over a half of pupils at some schools in Helsinki. This is not a sustainable path,” said Terho. He also argued that the maximum quotas are warranted in light of the results of surveys distributed to parents and teachers. Opettaja-lehti, he highlighted, has revealed that 41 per cent of teachers are supportive of the idea of limiting the share of immigrants to 20–30 per cent of pupils in daycare centres and primary schools. Helsingin Sanomat has similarly reported that 57 per cent of the parents of primary school-aged children in the capital region would adopt maximum quotas for children of immigrant backgrounds. Terho also said he is surprised that no other party expressed its support for the maximum quotas in a survey conducted by YLE. “This is incomprehensible and indicates that other parties have no desire or tools to bring immigration under control and fix the integration system. The failure to integrate can at worst compromise the security of Finns and erode social peace and community spirit,” he told. Jussi Halla-aho, the chairperson of the anti-immigration Finns Party, explained to the public broadcasting company that he opposes the proposal because “a maximum limit would require long school transports or the mixing of residential areas with tax money”.